Texas legislator Wendy Davis is now claiming she's pro-life and that she'd like to see the number of abortions being performed in America to be zero. But I guess the way to get there is make sure it's legal to kill babies up until the moment they're in Kindergarten. Wendy Davis is pro-life like Nancy Pelosi is pro-growing old gracefully. ... like Bill Clinton is pro-abstinence. ...like Al Sharpton is pro-coherence. ...like Alec Baldwin is pro-acting subtlety. ... like Michael Moore is pro-cow. 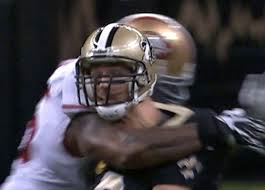 ...Like the 49ers are pro-Drew Brees' head staying attached to its shoulders. ...Like Planned Parenthood is pro-parenthood.